Good morning! 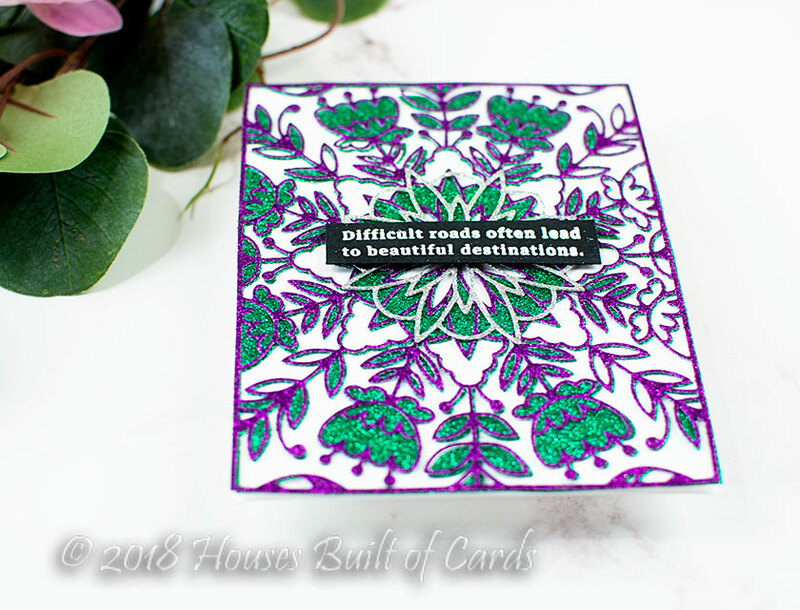 Today I'm sharing a super glittery and sparkly card - with a tutorial video created for Pinkfresh Studios! You can find the video in HD over on the Pinkfresh YouTube Channel HERE, or watch it below in this post. I had tons of fun combining the gorgeous new Pinkfresh Folklore Die and fabulous new sentiment stamp set - My Favorite Things to Say - from Pinkfresh Studio for my card today! 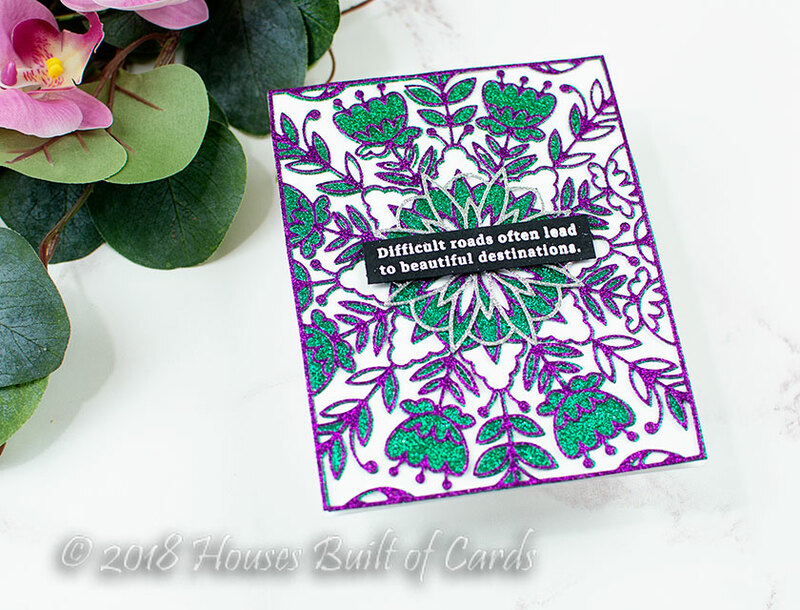 Glitter cardstock was the perfect way to get all this sparkly, without also having to worry about glitter falling off every time I touched it - and I love the fun color combo! I said this in the video as well - but just know that die cutting this glitter paper is a bit of a labor of love! I used a shim, and got a clean cut, but the pieces don't automatically fall out for the most part - I did have to do a bit of poking and prodding to get them cleared out. The good news is, that allowed me more easily to do what I did with the green layer, leaving some of the pieces popped in place! 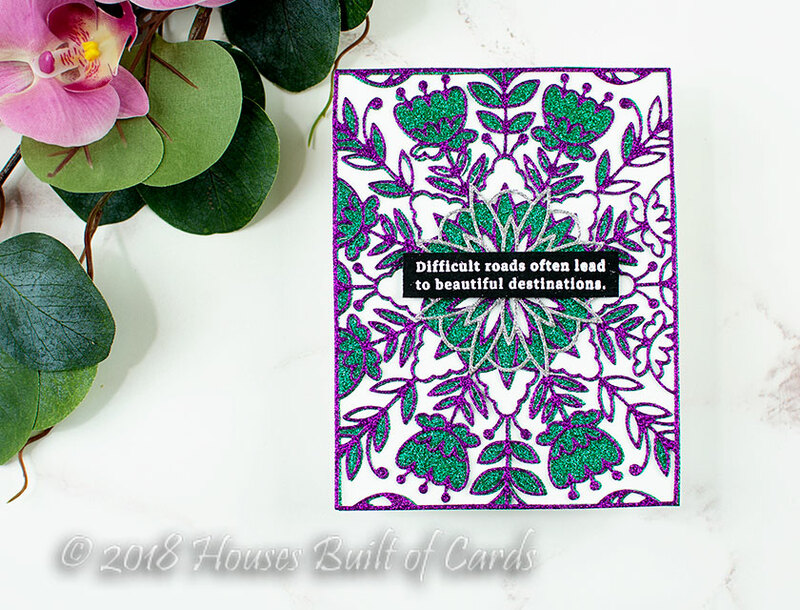 I simply love the sentiments in My Favorite Things to Say - so perfect for so many occasions! 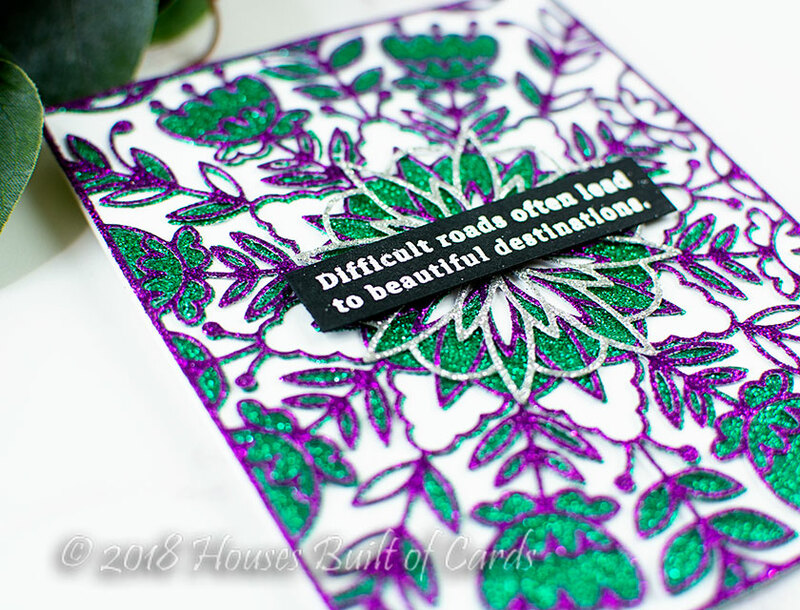 I also kind of love heat embossing sentiments in black to place on cards - seems like whatever the card, it always fits on well that way. I simply can't get over how detailed and intricate this Folklore die is! So pretty! Have you ever die cut with glitter? What color combo would you use? 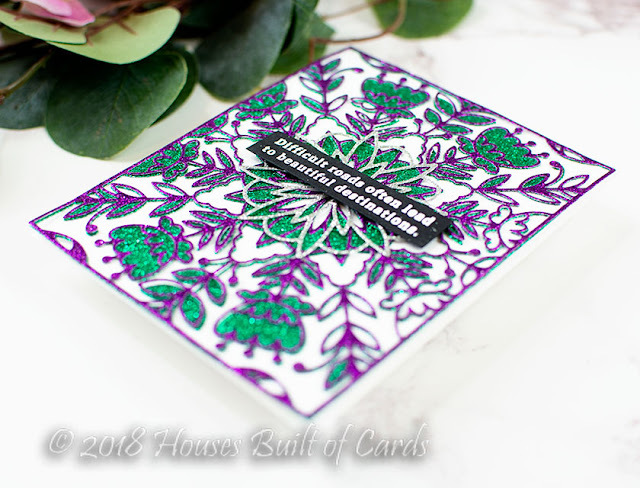 What a gorgeous card!! 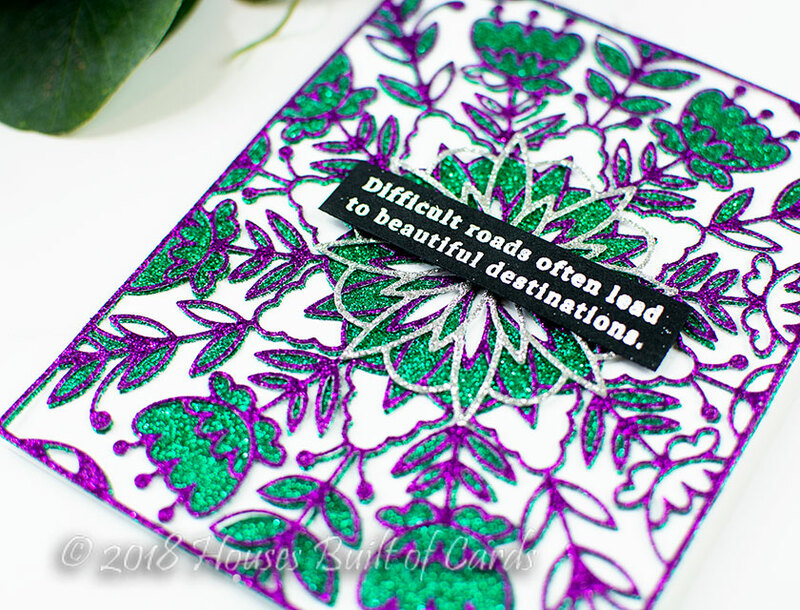 I love the glitter paper. I think that parchment trick is a great idea!!! Thanks for the tip!! New subscriber!! !